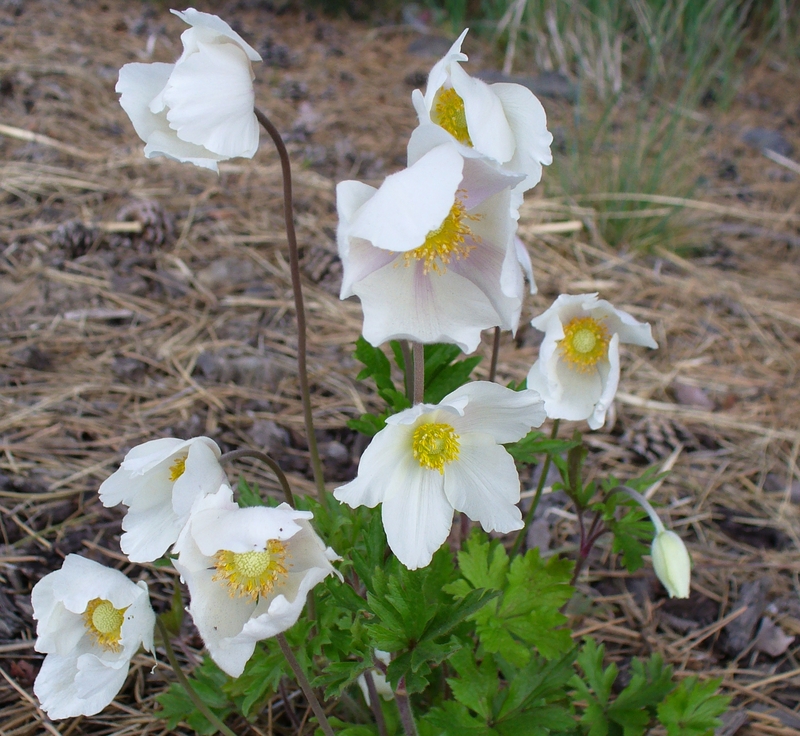 Anemone flowers at north end of trail. I took this trip on the third of May (2014). I went for the express purpose of checking out the Goodwill store and the Palouse Mall. The day threatened rain and was a little colder than I would have liked, but it didn’t rain much. I started at the north end of the trail, which is near where I live. Rabbits living in protected wetlands. The Pullman-Moscow bike-jogging-walking trail follows the streams that drain the area. The land immediately adjacent to these streams has been designated as protected wetlands. There is a little watershed conservation district here that is quite active – probably due to the biologists at the two universities. Little steam engine on display downtown Pullman. An attempt was evidently made to preserve some of Pullman’s historic artifacts from the railroad days. 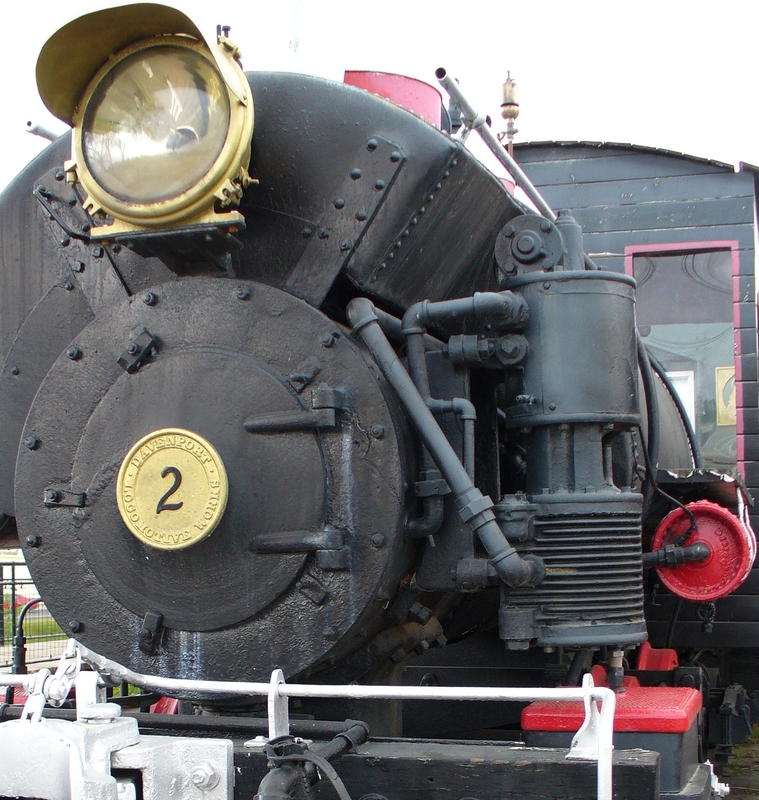 However, this little locomotive and the cars behind it are in disrepair and seem to be used by a real estate company. With the help of a west wind, I arrive at the outskirts of Moscow about 1-1/2 hours after leaving. This is where several stores and the Mall have been built. It is right next to the Washington-Idaho border. The Mall is just east of a big Walmart, which is just east of the older Staples-Goodwill-hotel-restaurant complex. It is a real suburban-style mall with clean, bright indoor-facing stores covered by a roof. In this area, this arrangement makes a lot more sense than the parking-lot-facing “strip” mall that was so popular everywhere in the ’60s. I ate lunch at the Qdoba and found the usual assortment of corporate sales outlets at the mall. There is also a Chinese “buffet” restaurant. All-you-can-eat lunch for 8 or 9 dollars. I also shopped at the Big 5 Sporting Goods store which has a “satellite” building at the mall. I needed something to cover my Goodwill purchases in case it rained. The local model plane flying club also had a neat display set up inside the mall. I didn’t try to take any photos inside, though. Time to head back to Pullman. The going was a bit rough, as even though the grade is slightly downhill, I had a headwind. I walked the bike much of the way. Duck in little pond near halfway mark. Near the halfway mark is a little tunnel under a crossing road. On the east side was a bench that was out of the wind, so I rested there a while. There was a duck in a nearby pond, but it wandered off when I tried to get closer to take more photos. 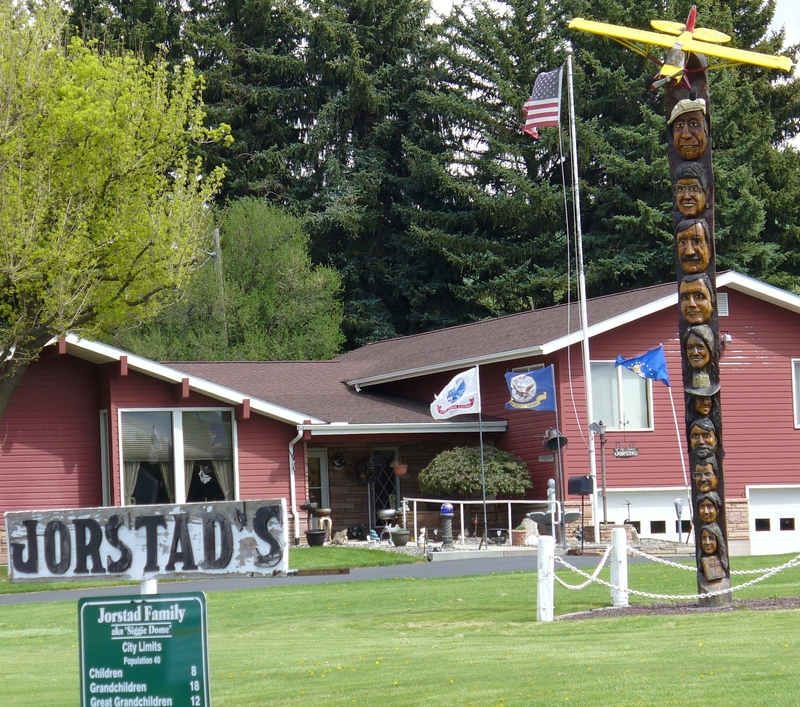 One of the features of the Chipman (Pullman-Moscow) Trail is the Jorstad’s house. I don’t know anything about the family, but these photos tell you something about them by themselves.